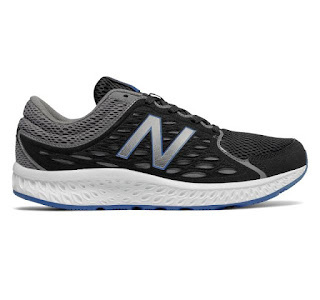 Head over to get a pair of these Men's New Balance Running Shoes for ONLY $29.99 (Retail $64.99). The 420v3 men's sneaker brings performance-quality cushioning to our popular throwback silhouette for an everyday shoe your feet will thank you for. Featuring a mostly mesh upper with a gradient-print N logo, it brings a retro-athletic vibe to your everyday street style game. Meanwhile, an ultra-plush performance insert supported by a durable rubber sole is designed to offer dependable support through a range of activities. A neutral color palette takes style cues from US track and field college teams, paying homage to the classic 420 70's running shoe. Plus, the lightweight mesh upper helps ventilate and revitalize to keep you going.